North Pole Travel: Cruise Tourism in Polar Regions: Promoting Environmental and Social Sustainability? Cruise Tourism in Polar Regions: Promoting Environmental and Social Sustainability? Cruises are the primary form of tourism in the Polar Regions and cruise ship tourism in both the Arctic and Antarctic is expanding rapidly. Yet little is known about the practices, implications and challenges of tourism in remote polar seas. Climate change is dramatically altering the impact and potential for such forms of tourism. Recent incidents, such as the sinking of one cruise ship and the grounding of two other cruise vessels in the Antarctic Peninsula in 2007, highlight the need for a critical examination of the implications of polar cruise tourism. A specific critical study of polar cruise tourism is therefore timely. The industry has moved beyond its infancy, and is now entering a maturing phase with increased numbers and types of vessels, more demanding routes, and more regular and predictable patterns of activity. 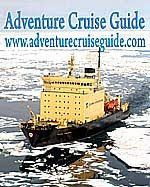 A range of factors is likely to support this maturing phase, including increasing tourist demand for travel to remote places, overall popularity of cruising worldwide, more sophisticated promotional activities by tour agencies, increasing awareness at the political and community levels about the benefits and costs of cruise tourism, and changing ice regimes in the polar regions. The increase in cruise activities, and the associated risks of accidents, as well as the potential and actual impacts of the large numbers of tourists in the polar regions bring with it management challenges for sustainable use of these regions. 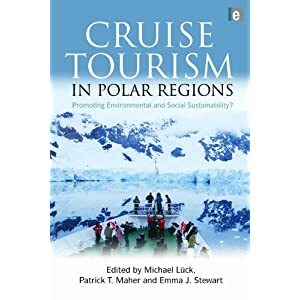 This book discusses critically the issues around environmental and social sustainability of the cruise industry in Polar Regions. Authors from Canada, USA, Europe, Australia and New Zealand are experts in their respective fields and take an innovative, critical and at times controversial approach to the subject.